Wrapper Class in Java, The wrapper class is a process of converting the primitive into object and object into the primitive. 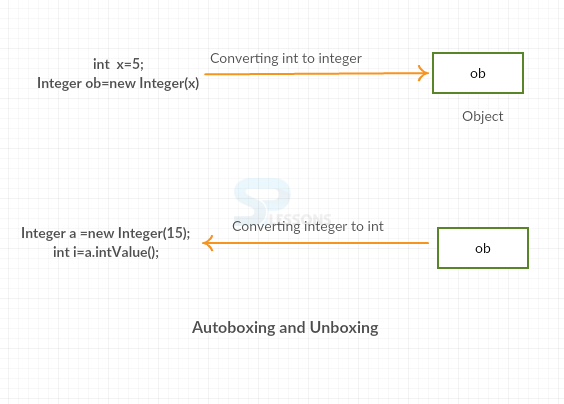 Before wrapper class, autoboxing and unboxing feature used to convert primitive into object and object into primitive, the automatic conversion of primitive into an object is called as autoboxing. All wrapper classes are final. All wrapper classes are available in java.lang package. If compiler performing boxing operation on its own is known as Autoboxing. Wrapper Class in Java, Converting wrapper type object back to primitive type is known as Unboxing operation. If a reference variable is created for an Object type,that reference variable can store any type of Object because all objects should inherit from Object class. Hence, it is automatically upcasted. 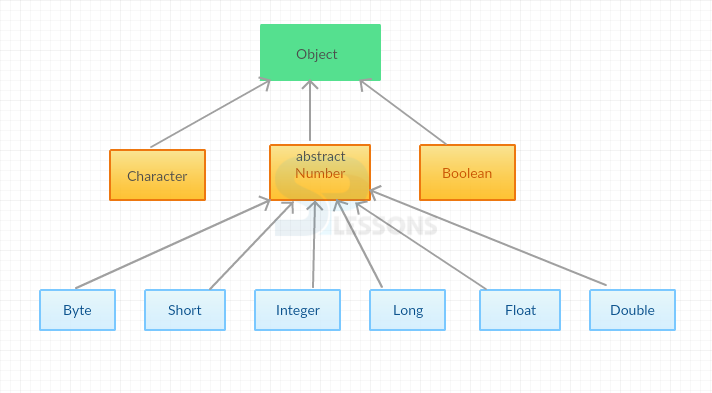 In a reference variable which is of type Object stores primitive types. Wrapper Class in Java, Following are the 8 wrapper classes. Wrapper Class in Java, Following is an example to convert from Primitive to Wrapper. Converting int into Integer as follows. Wrapper Class in Java, Following is an example to convert from Wrapper to Primitive. The following is an image that shows how to do auto boxing and unboxing. If programmer call a method passing by a value, then it is called as call by value. The following is an example where the original will not change. In the above example, the changes (data=data+100) are stored in local variable only. Now the result will be as follows. The following is the same example where the original value will be changed. In the above example, programmer made the changes in called method, programmer passed object in area of primitive value. The result will be as follows. Converting wrapper type object back to primitive type is known as Unboxing operation. All wrapper classes are final.